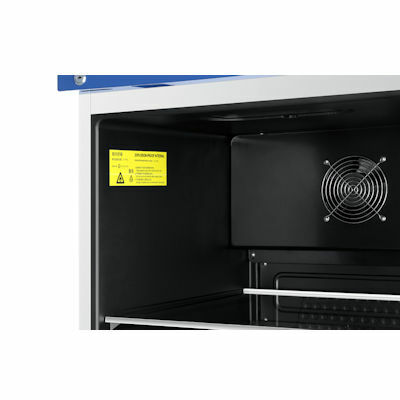 Haier medical introduce spark free pharmaceutical grade refrigeration. Read more about their innovative approach. We are very pleased to announce that we now have a range of extra safe spark free and static free pharmacy/vaccine grade refrigerators. We have two models with ATEX certification. 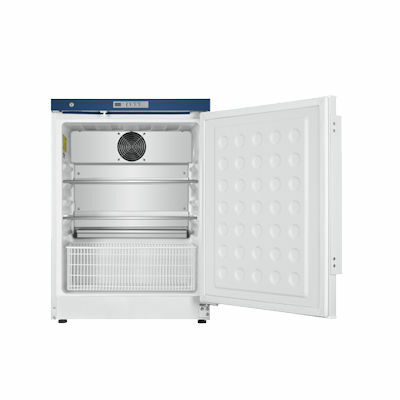 The ATEX II C-T6 explosion proof certification means that these fridges can be used almost every biochemistry laboratory. Temperature range is user adjustable from 3 to 16 °C. Ideal for solvent storage, or any other low flash point chemical, paint or glue in your plant or laboratory. HLR-118 SF pharmacy grade spark free fridge, certified to ATEX II C-T6, fits under the counter. Also available with anti static chamber as LR-118FL. 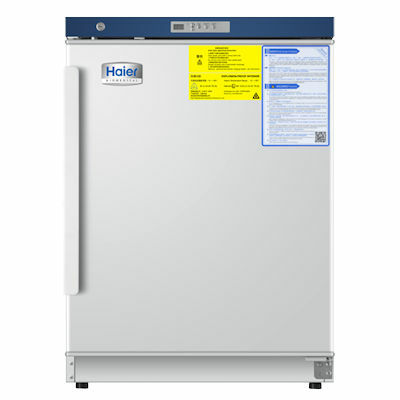 HLR-310-SF is a stand alone upright pharmacy grade spark free fridge, also certified to ATEX II C-T6, is also available with anti-static chamber as HLR-310FL. Download the "Haier spark-free refrigeration" brochure now. Your cold chain compliant vaccine,drug or pharmaceutical refrigerator requires annual re-certification. CCAT Scientific Ltd can perform your annual fridge/freezer re-certification. Re-certification involves an inspection, performance test and calibration check. We will assist with or perform any repair which may also be required to maintain compliance.